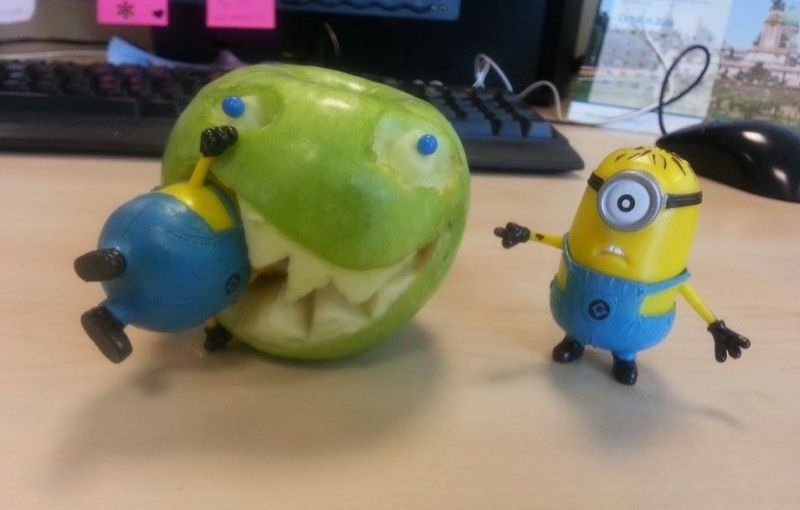 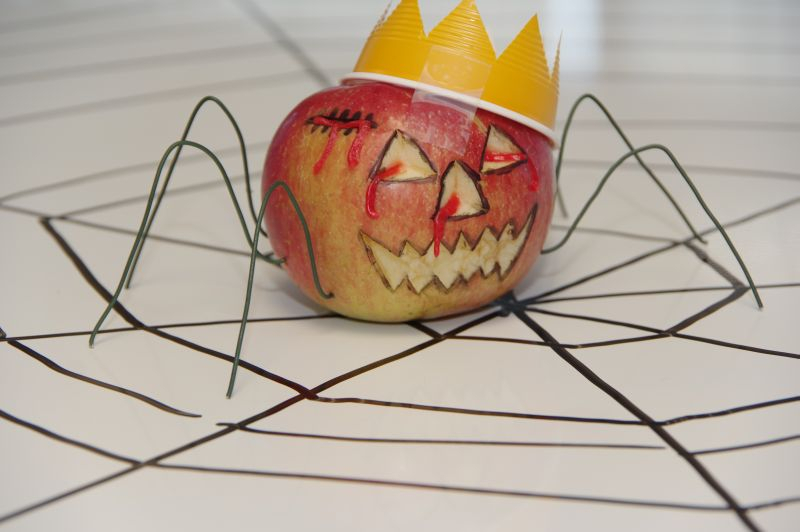 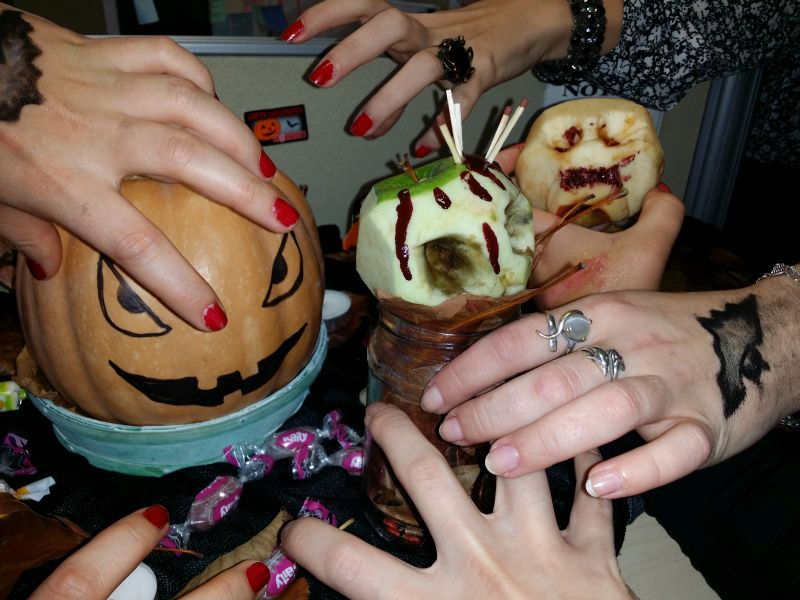 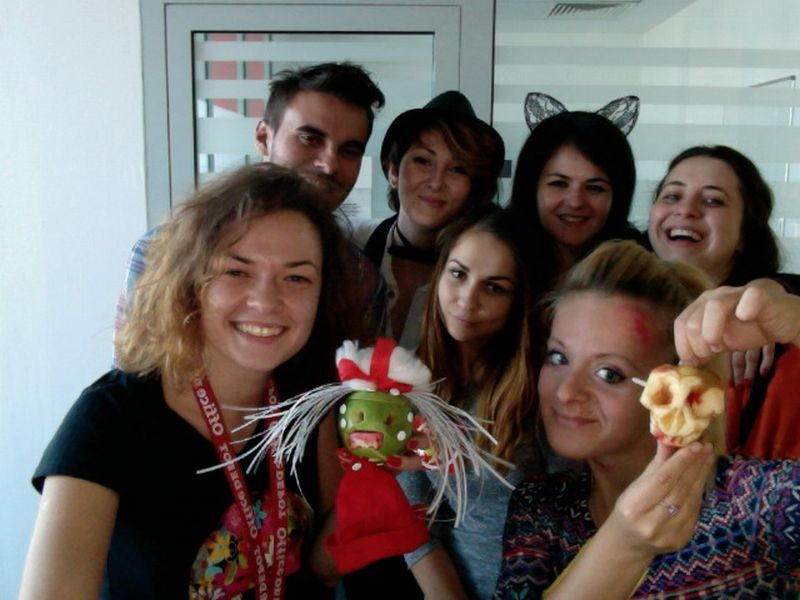 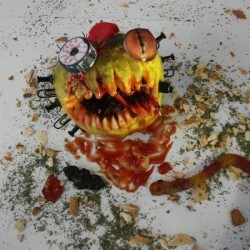 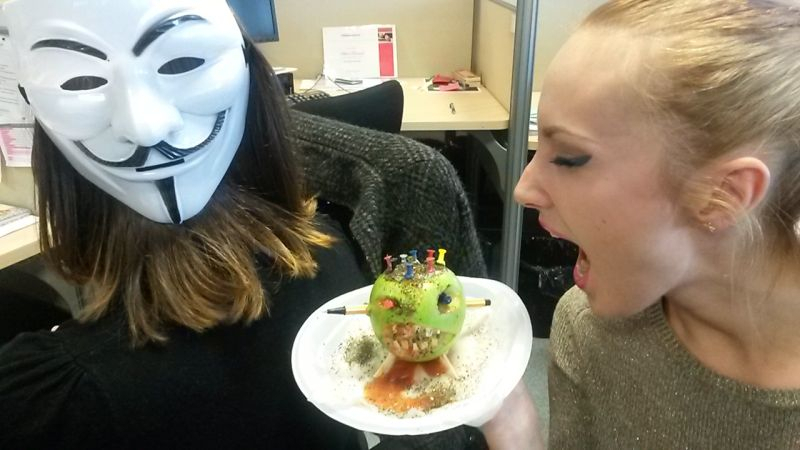 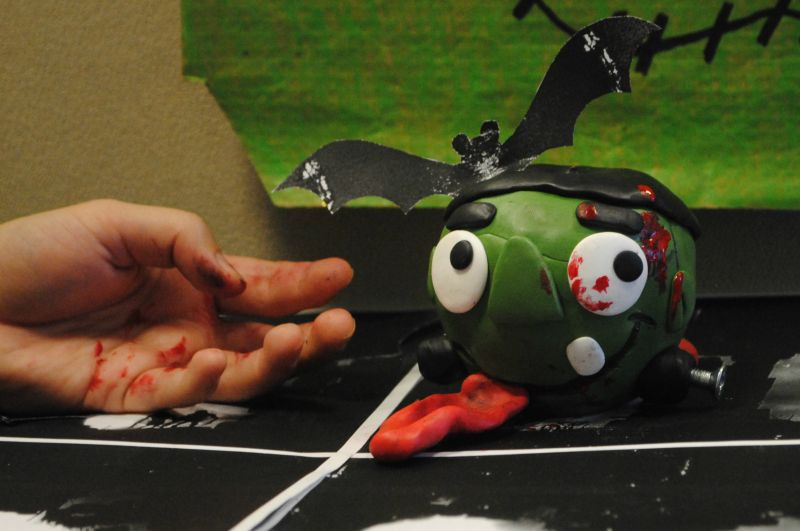 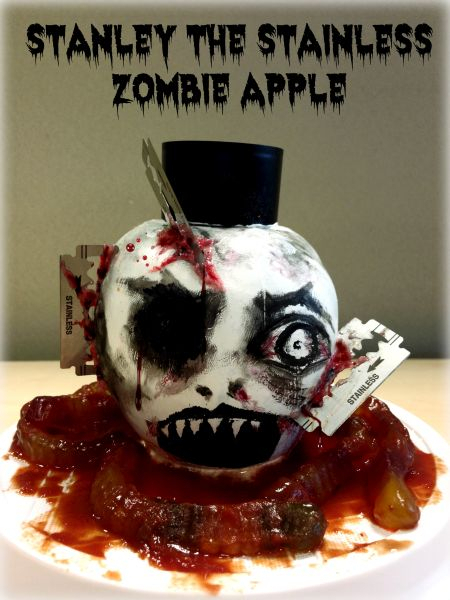 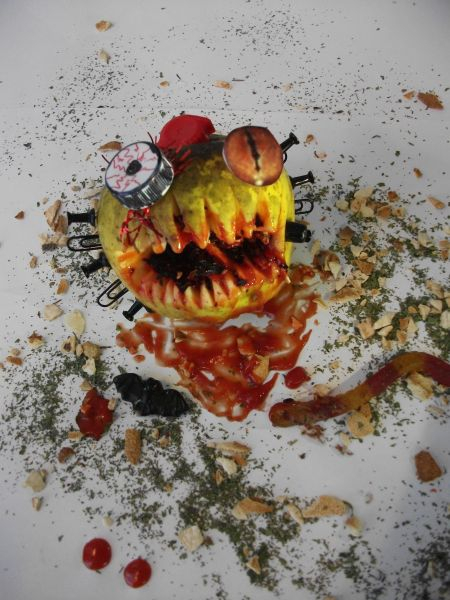 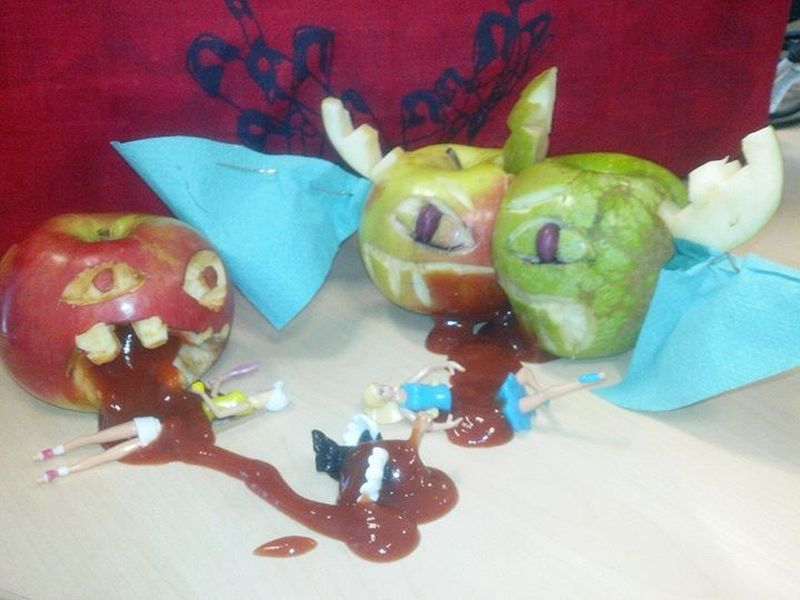 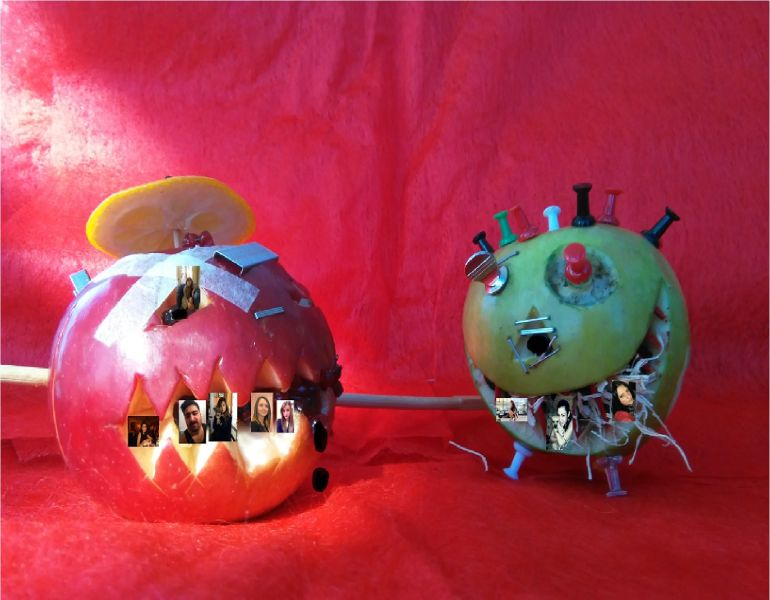 Out of the dark cauldron of the witches of MIB, on Halloween the sordid Monster Apple contest was born. 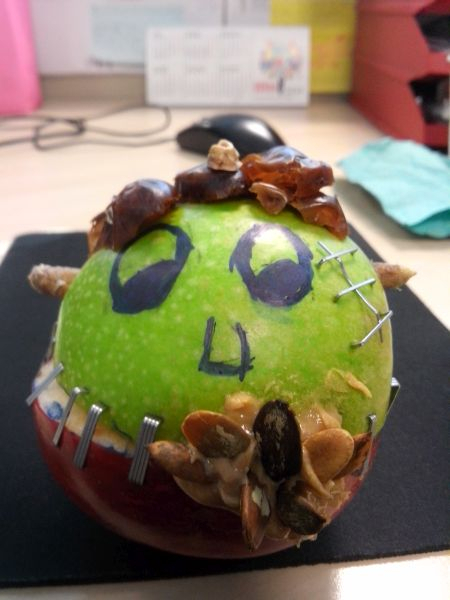 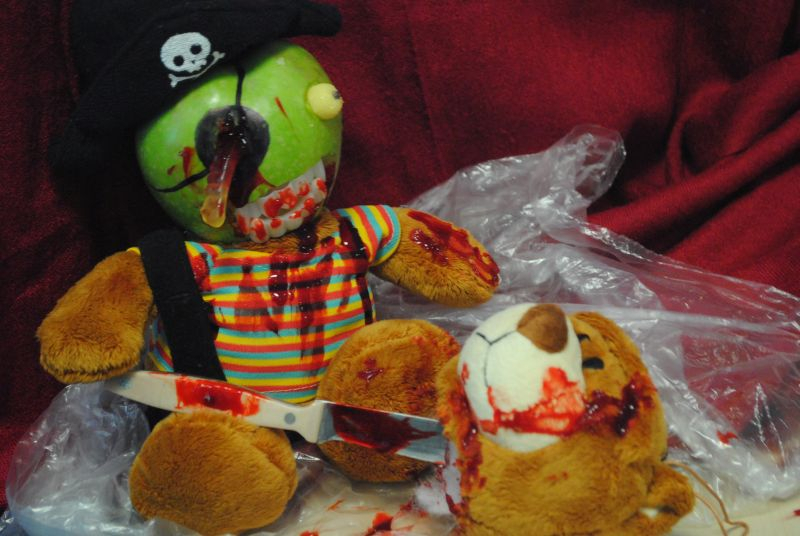 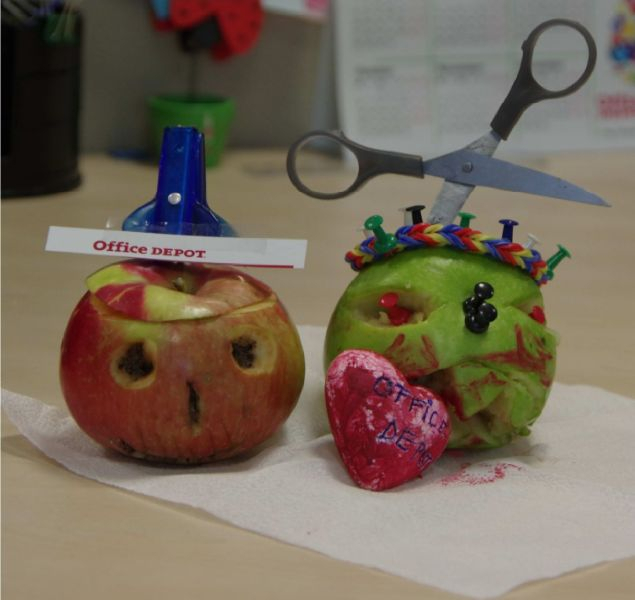 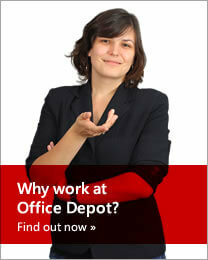 Just like Frankenstein, the apples were brought to life using the people’s imagination, and the horror was unleashed in Office Depot. 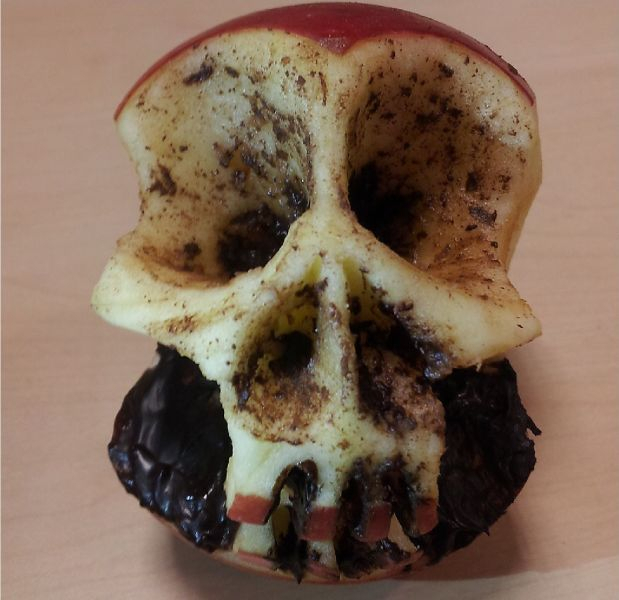 Everywhere you turned, the creepiest and eeriest apples were staring at you just long enough to remind you that it was not an ordinary day, but a day of fright and terror. 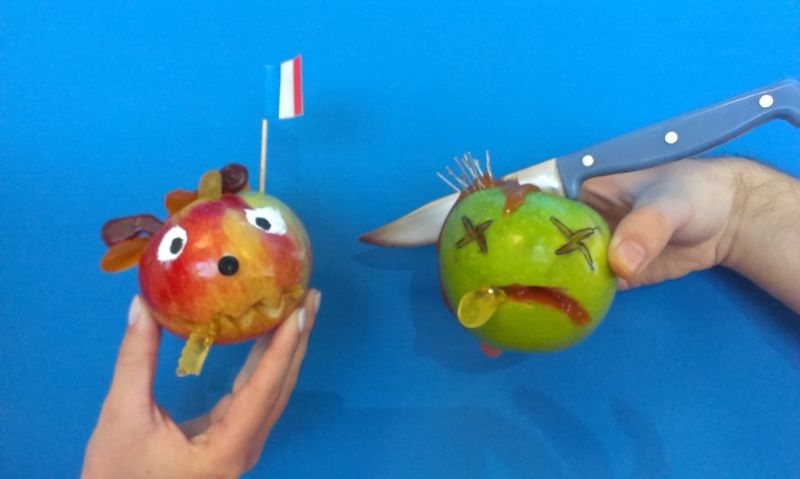 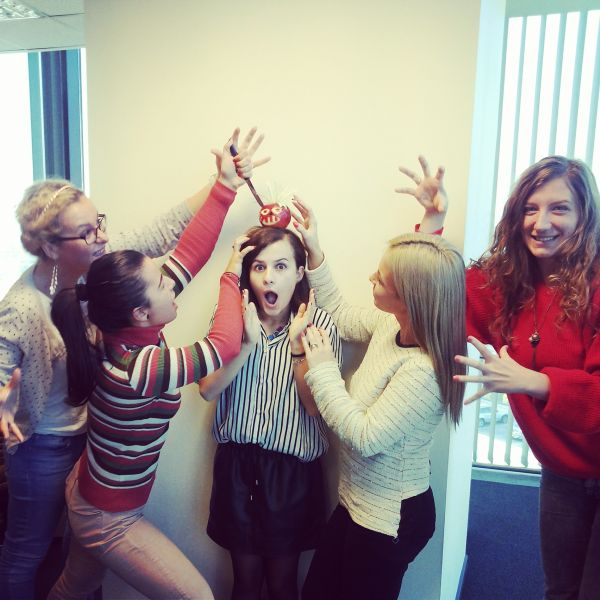 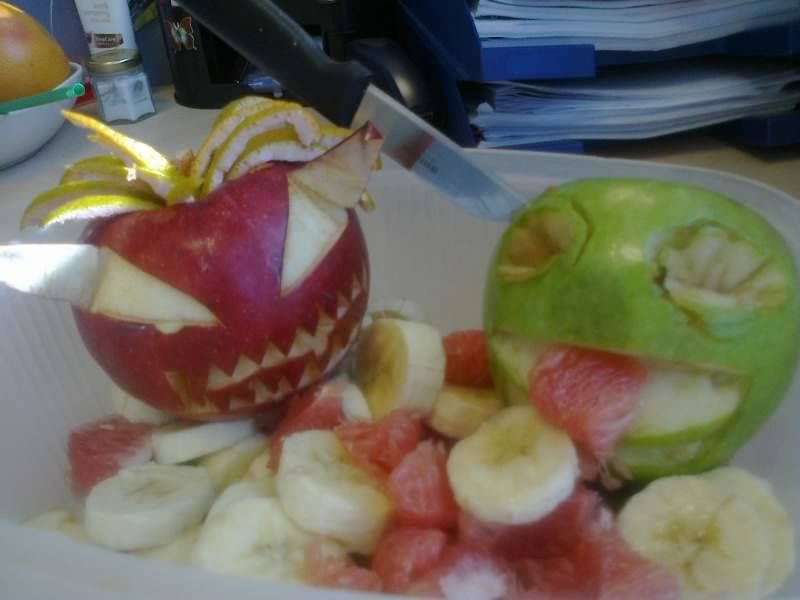 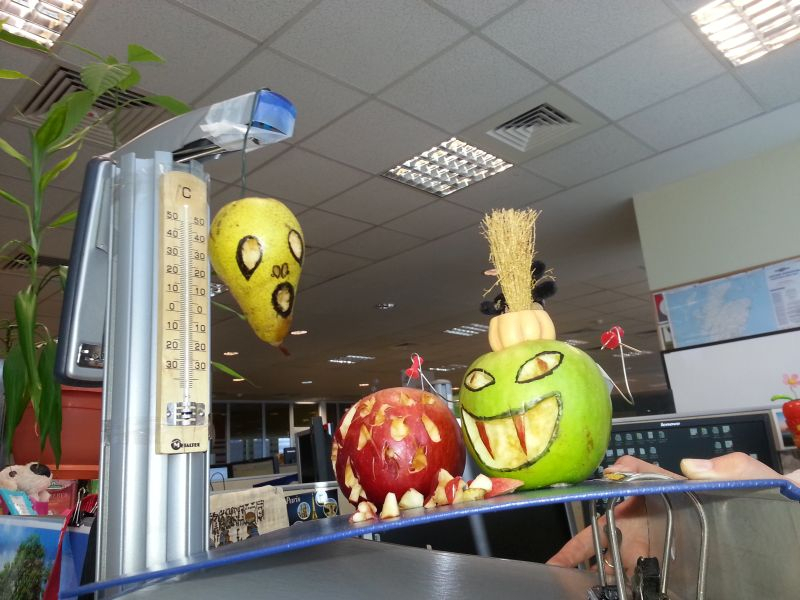 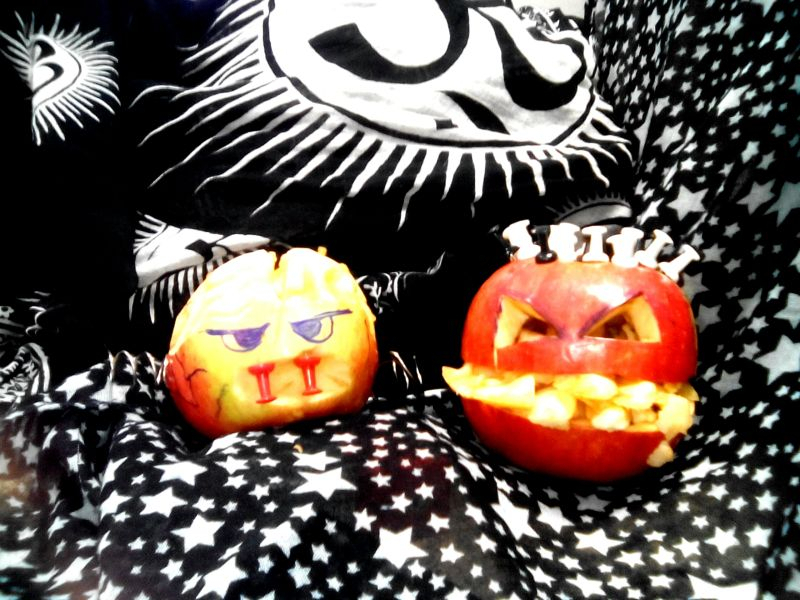 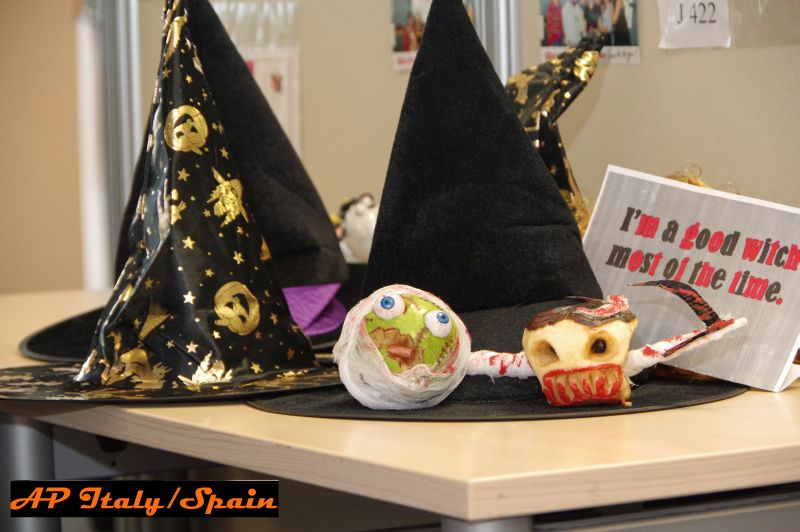 The three scariest apples were celebrated and their creators were rewarded for their very twisted imagination.